There is no way out for Real Madrid. No excuses. No blame games. No scapegoat. Real Madrid has to win the El Clasico, no matter what ,Jose Mourinho, their boss is fully aware of the difficult situation they are in. Barcelona has not lost a single game in the La Liga this season. Real Madrid has lost two, drawn one and won three, which places them sixth on the standings table. Barcelona are sitting comfortably at the top. A loss here for Real Madrid would more or less end the title race. A team like Barcelona is not going to drop many points in the season. There is a difference of 8 points between the two dominant sides of the La Liga, Real Madrid and Barcelona. Real Madrid’s victory here would bring the gap closer by 5 points, which looks better than a 11 point gap, which would result if Barcelona wins. Mourinho, a strong tactician needs to chalk out some important strategy for the match – capable of out settling Barcelona, who have been in terrific form. Their confidence level is only moving upward. One fails to understand Real Madrid’s performance in the initial phase of the season, where they have lost against Getafe and Sevilla. Real Madrid are a far better team than either of the two teams. But, that is not what the standings suggest. How can a team comprising of players such as Benzema, Ronaldo, Pepe, Casillas, Higuain, Ozeil not be in the top of the table or at least, second or third. These players may have been a bit unlucky as well, but they need to come up with a brilliant team performance to outdo the Barca men. As usual, Ronaldo holds the key for Real Madrid. 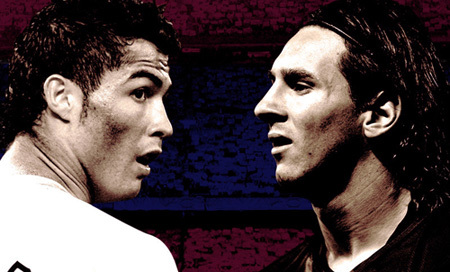 The result of the game may depend to a great extent on Ronaldo’s performance – for Madrid fans. Barcelona has looked very impressive this season and they seem to be a very determined outfit to win the title, which they lost to Real Madrid last season, which they hate to do. Their style of play has looked great in the matches so far and Messi as always have stood out. Hence, If Real Madrid wants to take three points from the fixtures, they should make sure that Messi has a quiet game, which other teams in the past have not been able to do so. Real Madrid need to come out all guns blazing as soon as the first minute whistle is blown. They cannot afford Barcelona to play their tiki-tika style of football, else they have a game to make Real Madrid dance all around the ground with no serious result. As it has been seen with Real Madrid, they look ominous when they have the ball and they play an counter attacking brand of football. They are lethal with Ronaldo dribbling the ball upfront and players like Benzema eager to score an assist from Ronaldo. 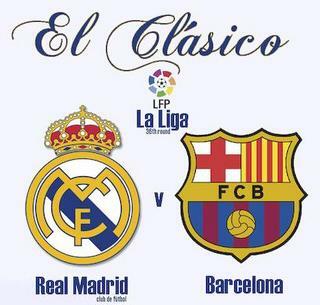 The match is for sure going to be a classic as the name El Clasico suggests. When these two teams meet, there is no shortage of quality in the game. The game even looks more beautiful with these two teams playing a box to box game. « Will Chelsea be too hot for Tottenham Hotspur?